The ''Good Life'' is now in reach with this beautiful 3br / 2ba Mediterranean style home that features an open concept Kitchen/Living Room, and breathtaking mountain views! 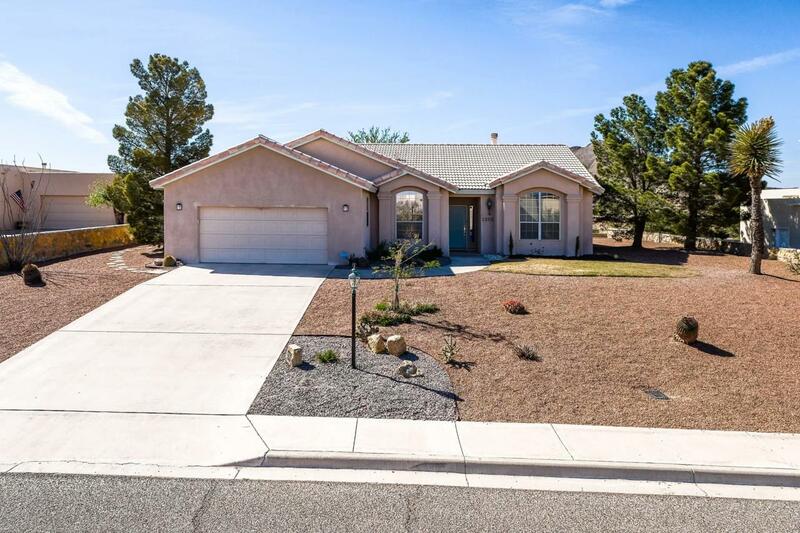 Located in the active community of Picacho Hills and just a short walk to Picacho Hills Country Club with amenities that include a pool, golf, tennis, and even a bar/restaurant to unwind with family and friends. Enter through the front door and your eyes will be immediately drawn to the floor-to-ceiling patio door that perfectly frames your large covered patio, manicured yard and awe-inspiring views of Picacho Peak. The kitchen is bright and spacious and offers Frigidaire stainless appliances, a center island and plenty of cabinet space to organize all your cookware. The Master suite features french doors, high ceilings and more than enough room for a king size bed and an additional sitting area. The ensuite master bath that boasts a huge walk-in closet, dual sinks, and a jetted tub. Isn't it time to start living the ''Good Life''? Listing provided courtesy of Kent B Davies of Exit Realty Horizons: (575) 532-5678. All listing information was provided by Southern New Mexico Multiple Listing Service.